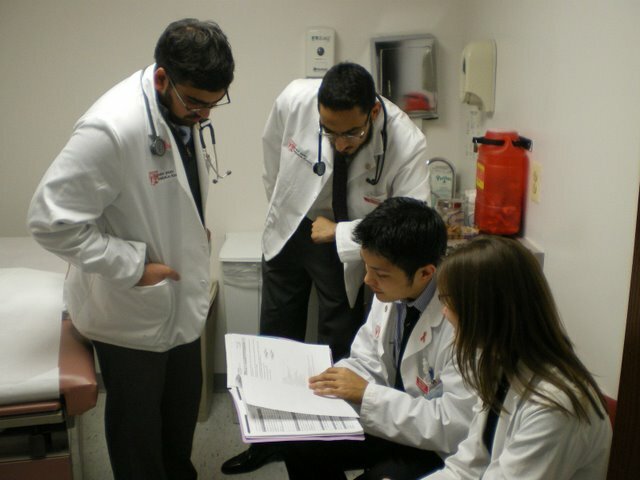 The Student Family Health Care Center (SFHCC) is one of the oldest institutions at Rutgers New Jersey Medical School. Established after the 1967 riots to meet the needs of the medically underserved, this student-run clinic offers free, quality health care to the Newark community. Services include physical examinations, chronic disease management, gynecological care, and psychosocial counseling. All services are provided by volunteer medical students under the supervision of board-certified physicians. There is no charge for an office visit, however, patients may be billed for laboratory and diagnostic services. A charity care program is available for those who do not have the ability to pay for these services. The clinic is conveniently located on the Rutgers Biomedical & Health Sciences Campus in Newark and is open on Tuesday and Thursday evenings. For students, SFHCC provides an opportunity to enhance clinical skills, focus on the doctor-patient relationship, lead student teams, and interact with a diverse group of attending physicians throughout all four years of medical school.